The area known as Spion Kop near Mansfield Woodhouse is named in honour of local hero Major General John Talbot Coke JP. 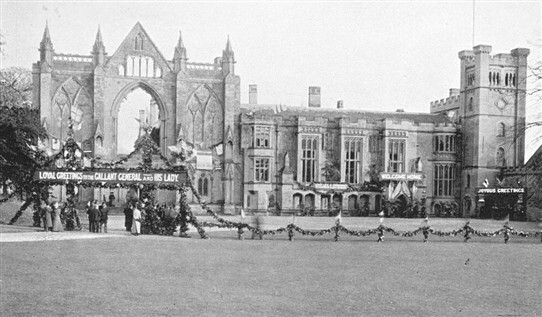 Major General Coke was born in August 1841 at Brimmington Hall (Chesterfield, Derbyshire) and he died in February 1912. 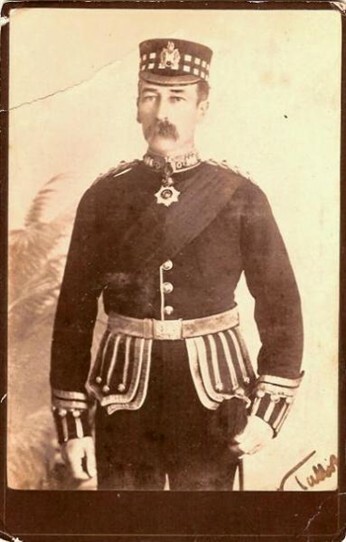 He entered the army at the age of 17 and served for 42 years, he served with some distinction in the South African War of 1899-1900 (The Boer War). On the 23rd January 1900 he and his soldiers defended a place in South Africa called Spion Kop, it is his participation in this battle that resulted in Spion Kop in Nottinghamshire being named in his honour. 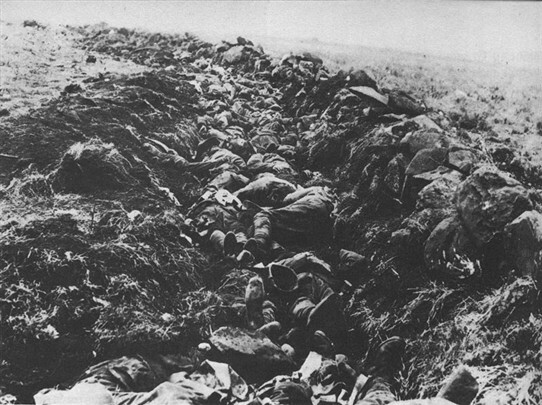 The battle was a terrible defeat with hundreds of quite unnecessary British casualties caused by troops being needlesly left in an exposed position, subject to Boer artillery and sniper fire, for hours - a grim warning of what became commonplace in the Great War. Coke was, however, exonerated from any blame for the mishandling of the battle, more the fault of C-in-C Sir Redvers Buller. The famous Liverpool 'Kop' also gets its name from the Afrikaans/Dutch word kopje meaning a hill. Dutch-speaking visitors to the Nottinghamshire hamlet must therefore be surprised to find that it is not on high ground.